Sustainability is rooted in our company values and we have worked hard over the years to ensure its actions have a positive impact on the environment. This includes steps to reduce packaging, to use recycled materials where possible and reduce our power consumption. Waste produce is also removed by local farmers for use as animal feed. The company is a verified member of Origin Green. K & K Produce is a member of Repak which is a business led compliance scheme licensed by the Irish government to collectively fund recovery and recycling of packaging on behalf of Irish producers. Origin Green is the only sustainability programme in the world that operates on a national scale, uniting government, the private sector and food producers, through Bord Bia, the Irish Food Board. Independently verified, it enables Ireland’s farmers and producers to set and achieve measurable sustainability targets – reducing environmental impact, serving local communities more effectively and protecting the extraordinarily rich natural resources that our country enjoys. Through our participation in Origin Green, we have committed to reducing our energy consumption by 7%, to reduce fuel usage by 10%, to decrease the number of packaging lines by 15% and to reduce the thickness of plastic used by 28%. Participation in the Origin Green program will help improve business relationships, increase competitiveness, place us in a stronger market position and more importantly to help “Make Ireland Greener”. 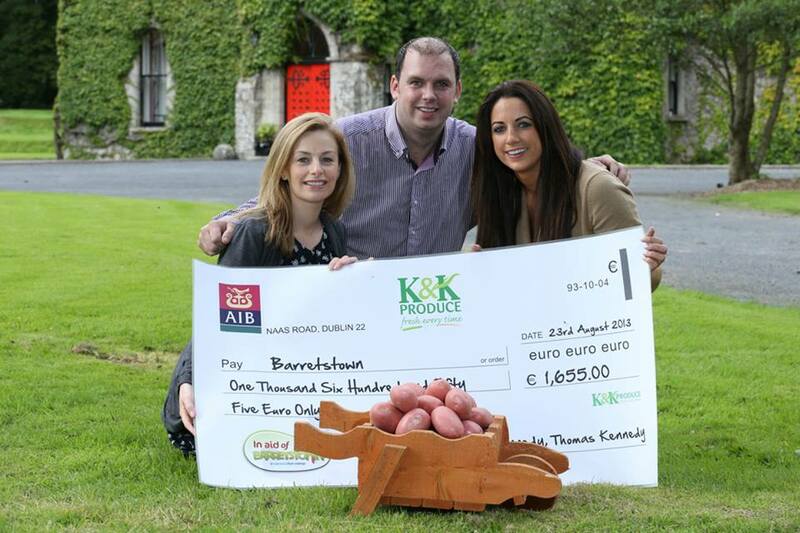 Our company works alongside recognised charities such as Barretstown and Focus Ireland. In addition we help support the Dublin Basket Brigade on an annual basis as well as contributing to local schools and sports clubs. These organisations help provide essential services and K&K Produce is happy to help them in any way we can.